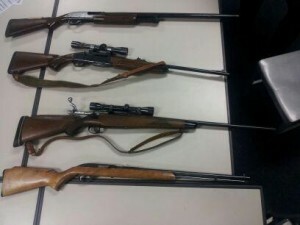 On Thursday, June 21, 2012, at 2:50 p.m., deputies from the Lancaster Community Oriented Response Enforcement (C.O.R.E.) team responded to the 600 block of East Lancaster Boulevard, Lancaster, after being notified by Lancaster City Code Enforcement personnel of a suspected Methamphetamine Laboratory at the location. When deputies arrived at the location, the deputies were briefed by code enforcement personnel that on Friday, June 15, Frederick Garrabrant (who resides at the location) had been arrested by Lancaster Station deputies for Elderly Abuse and Possession of Methamphetamine. At the time of Garrabrant’s arrest, he signed a release form allowing his parents to gain access to a locked safe, and also authorized them to sell his weapons inside the safe to recover the costs of the property clean-up. On June 21, code enforcement arrived to assist Garrabrant’s elderly parents in cleaning up the yard and house. While code enforcement was there, an employee from a safe company, hired by the suspect’s family, opened Garrabrant’s safe and found chemicals consistent with those used to manufacture methamphetamine. 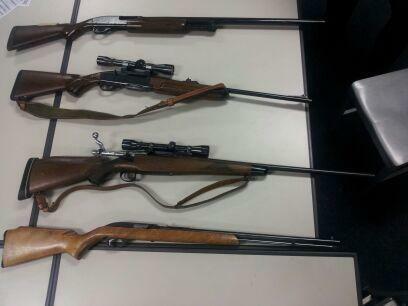 In addition to the chemicals, they found three rifles, and one shotgun inside. 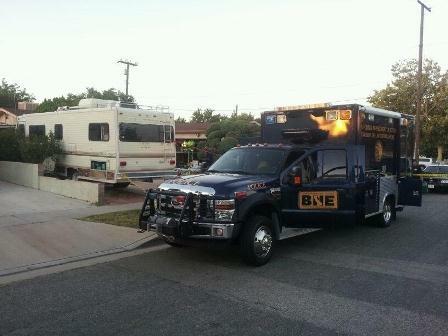 Code enforcement personnel secured the location and requested the assistance of Lancaster Station deputies. 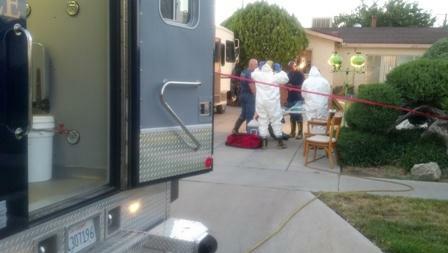 Deputies arrived and obtained a search warrant for the location. 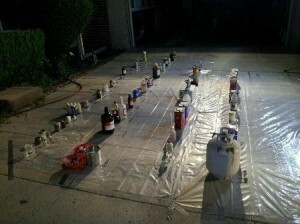 Deputies subsequently found chemicals which may be precursors to explosives. Due to the nature of the investigation, members of the Los Angeles County Arson and Explosives Detail, Narcotics Unit, L.A. IMPACT, Los Angeles County Chemist, Los Angeles County Fire Department, and Hazmat Detail were also called out to assist. Render-Safe procedures were conducted and the house was ultimately rendered safe. Garrabrant was additionally charged with Manufacturing of Controlled Substance, Possession with Intent to Manufacture Methamphetamine, and Possession of Firearms and Methamphetamine. He is currently being held in lieu of $40,000.00 bail.